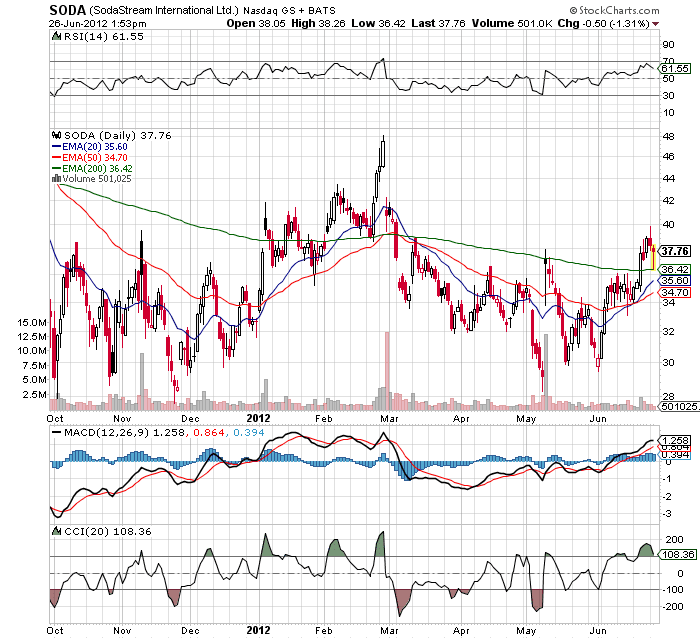 SodaStream (SODA) finally has a bullish looking chart after a disastrous last year. The home beverage maker traded as high as $80 last year, but it now only fetches $37. This though the stock trades at a forward PE of 13 with a long term growth rate that will exceed 25%. 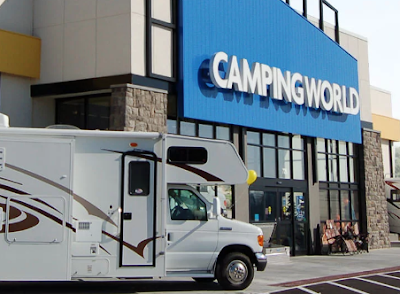 While the market continues to debate whether this concept is just a fad or a long term growth story, the company has quiet but together some impressive growth and forecasts. Regardless of ones view on the long term prospects of the company, the stock bounced nicely off the 200ema this morning right around $36.40. For now, that is a good sign that SODA can be purchased. 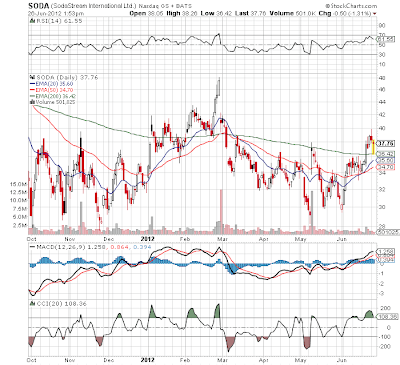 The stock made a similar run to $48 back in February, but eventually blew up and traded down to $29 by early May. Investors should understand that trading at just the growth rate of around 25 would lift the stock to $67.50. Even in this market, stocks with that growth rate are trading at 30-40x earnings which would lift the stock to all time highs. If this run is finally for real, the stock could have a monster move. The stock went from $30 to $80 in 6 months with a lot less earnings support. Could a similar tun be in the near future? That technical bounce led to a $3 gain so far. Amazing how technical the market has become.